Hola friends, we were able to find some time this weekend to explore our surroundings. 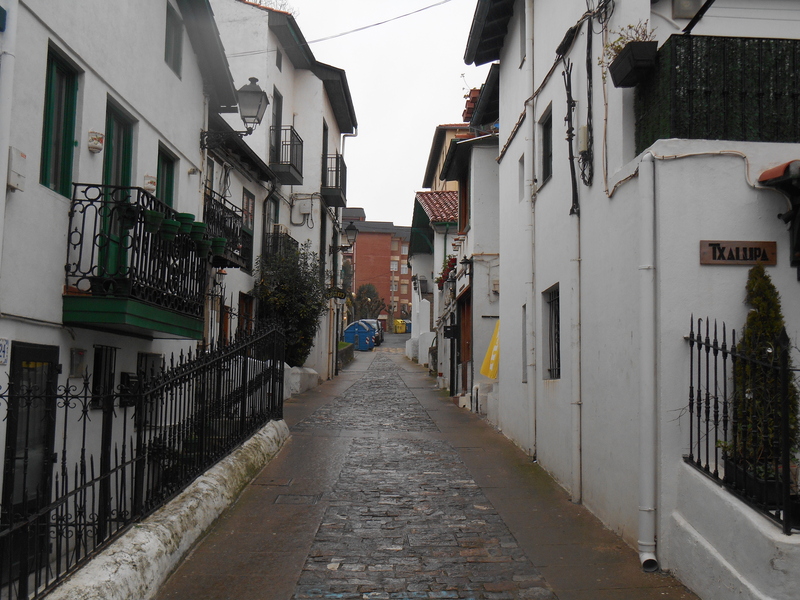 Come along with us as we explore the Suspension Bridge of Las Arenas and the Old Port in Algorta. 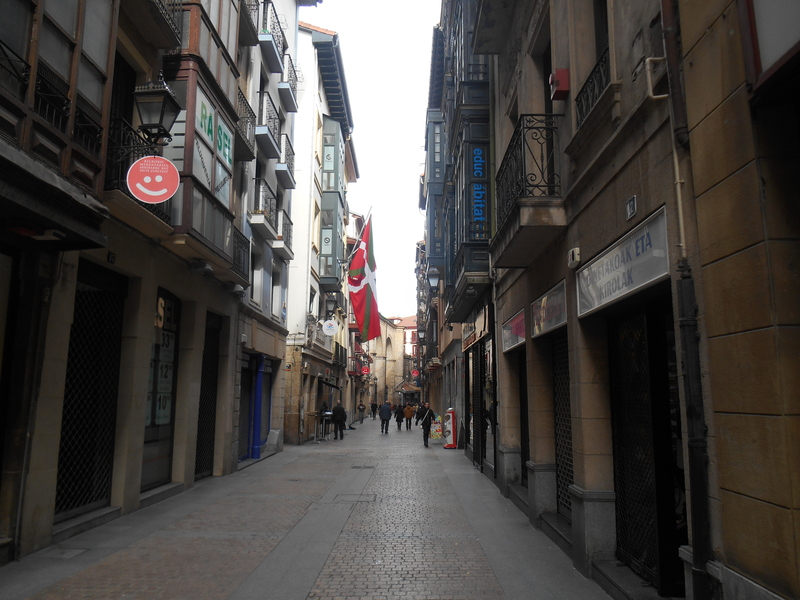 We’re starting the trip off in Casco Viejo which is the old part of Bilbao a few minutes walk from our apartment. 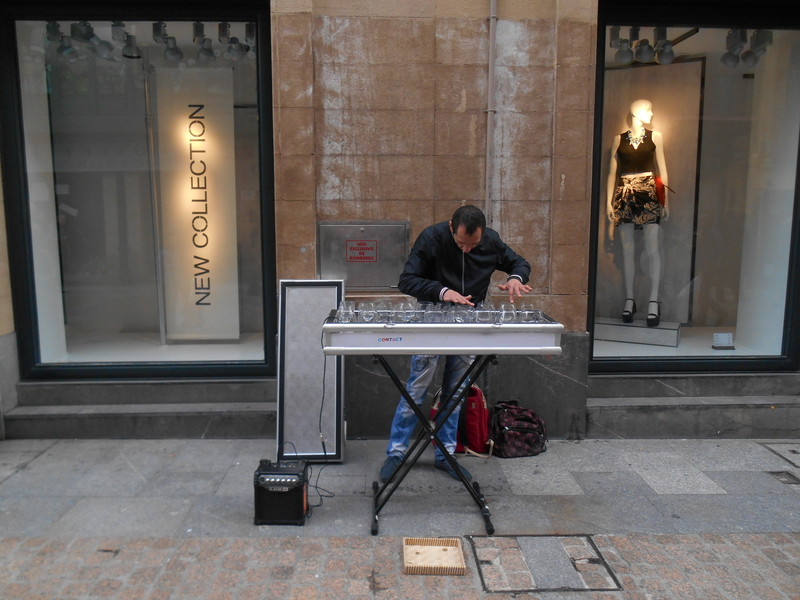 It’s known for its pintxo bars and colorful shops. Let’s take the metro from here to our destination stop which will be Areeta about 20 minutes away. Now we have arrived at our stop and we will take a five minute walk to the Suspension Bridge where we will start our tour. 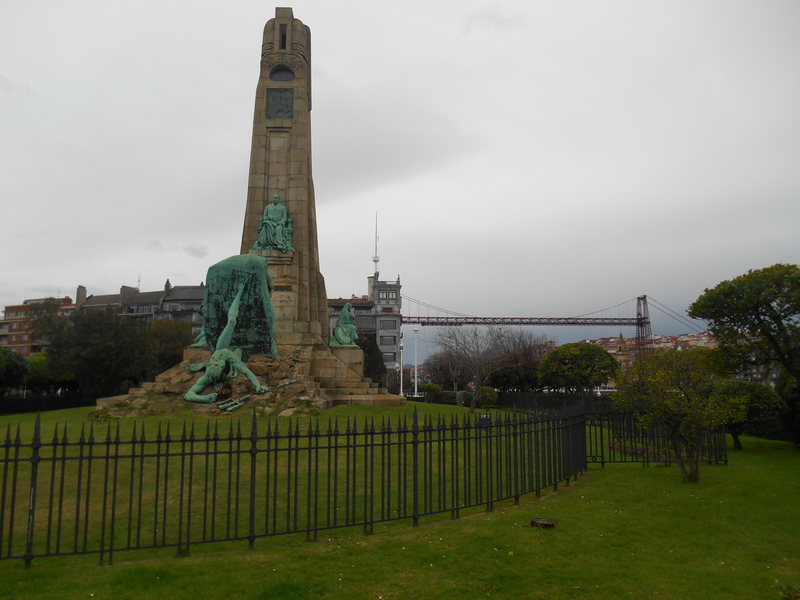 It is named Bizkaia Bridge and was built in 1893 by disciples of Gustave Eiffel. Does that name sound familiar? Yup he’s the same person who designed the Eiffel tower and if you look closely you’ll likely notice the resemblance. 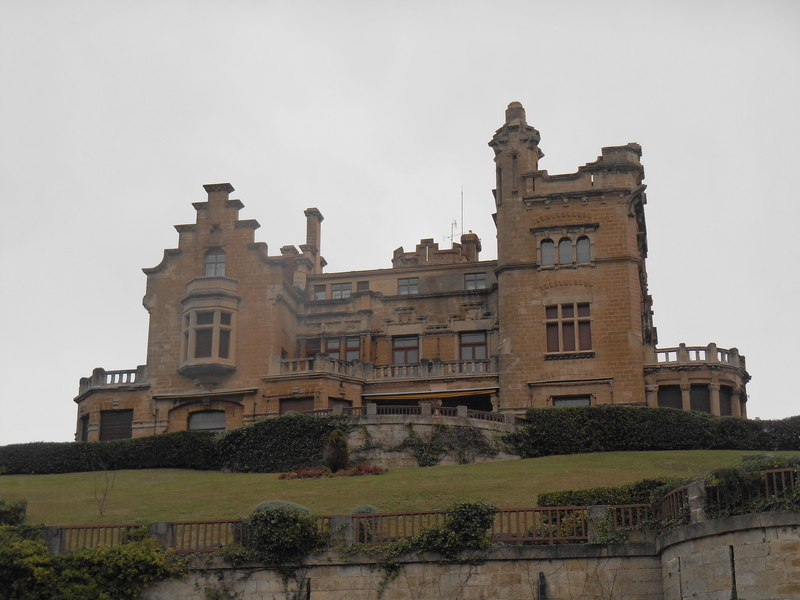 It joins the two sides of the estuary and it is a UNESCO World Heritage Site. 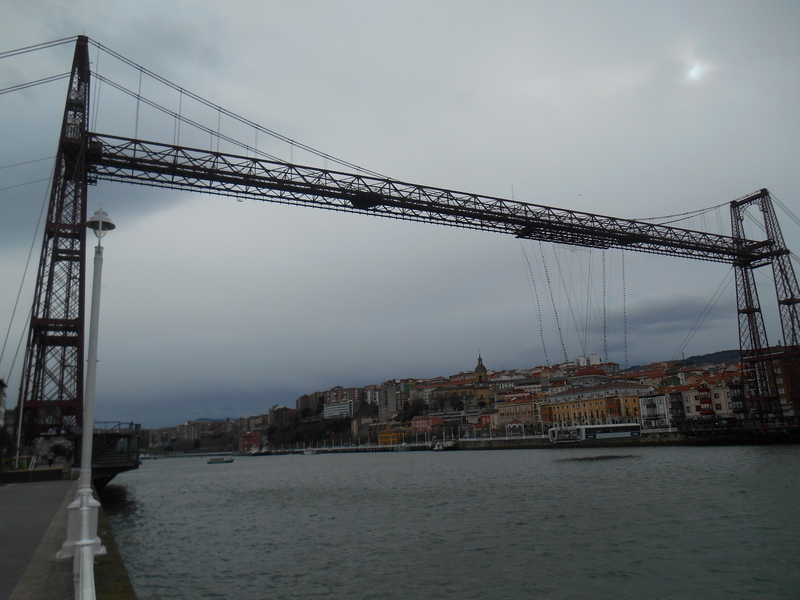 Its the oldest bridge of its kind in the world. The bridge is incredibly high and visitors are able to take an elevator up to the top and walk across the top of the bridge to the other side of the estuary. 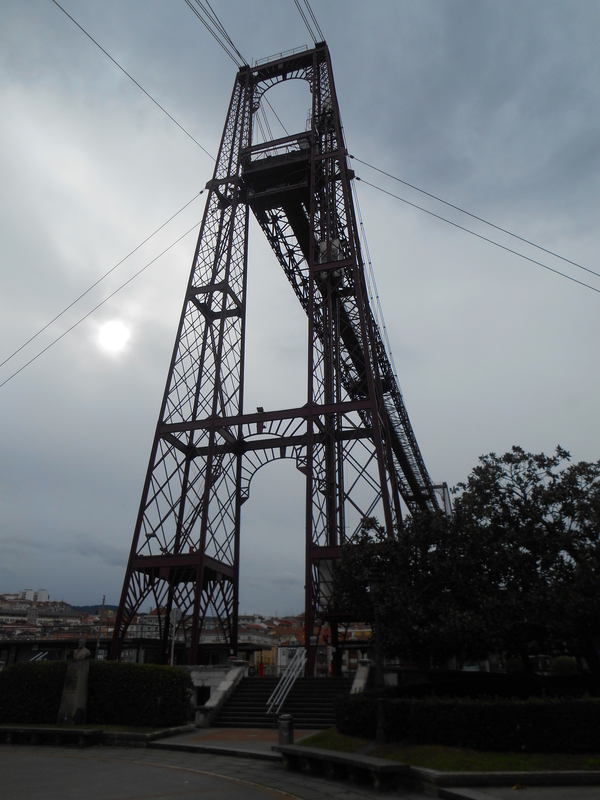 If you are afraid of heights you can take a transporter which will transport you via cables and a large platform to the other side. 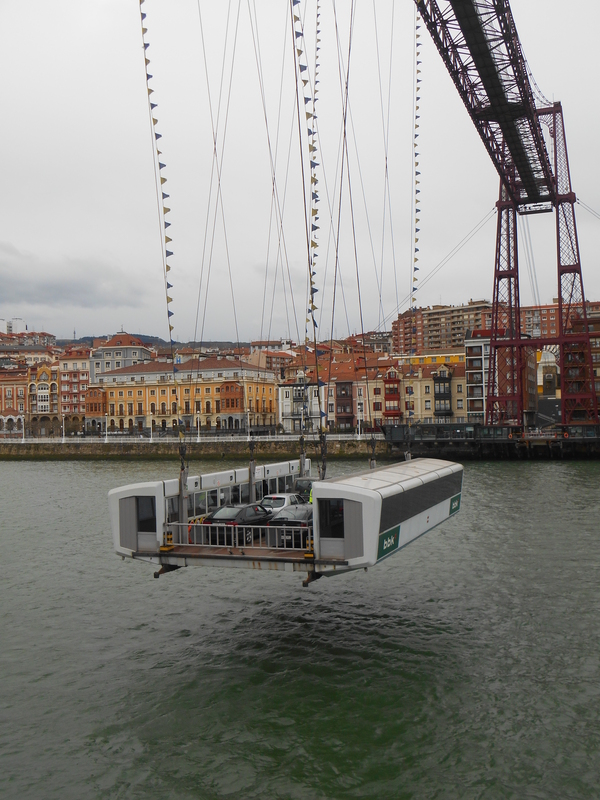 The platform is even able to transport entire cars! 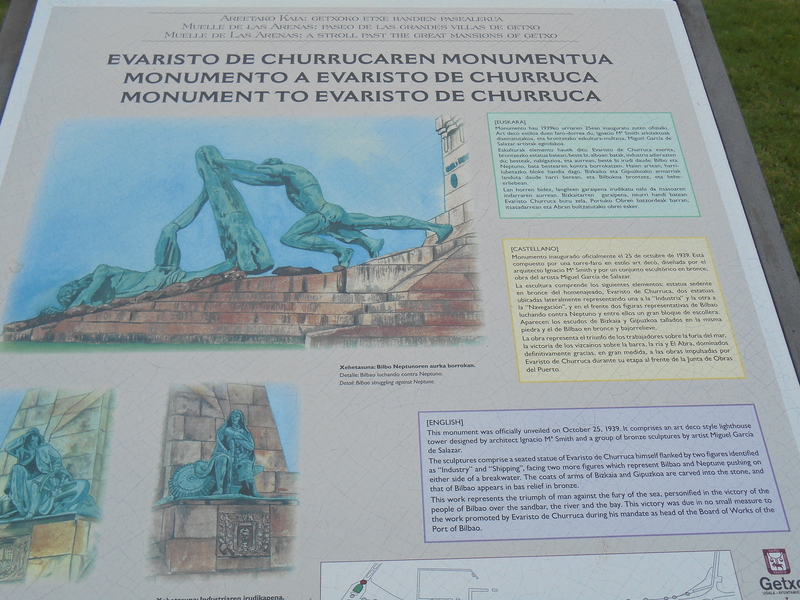 Now let’s walk towards the mouth of the estuary where we will find a beautiful park dedicated to the memory of Evaristo Churruca. He is the engineer who regularized the estuary in the early 20th century. 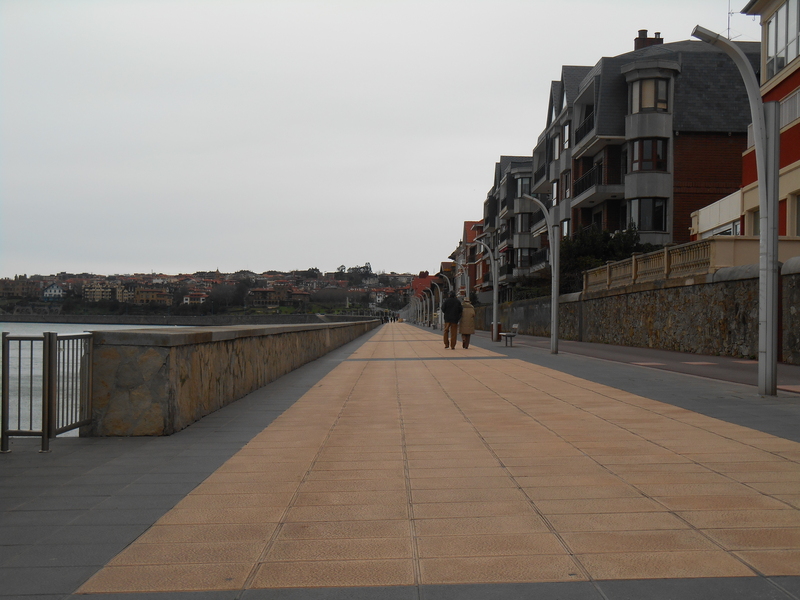 We continue walking along the walkway promenade where we find the most remarkable houses from 19th and 20th century Bilbao designed by famous architects of the day. As we continue our walk we reach Ereaga Beach which is home to many surfers even on this cool winter day. 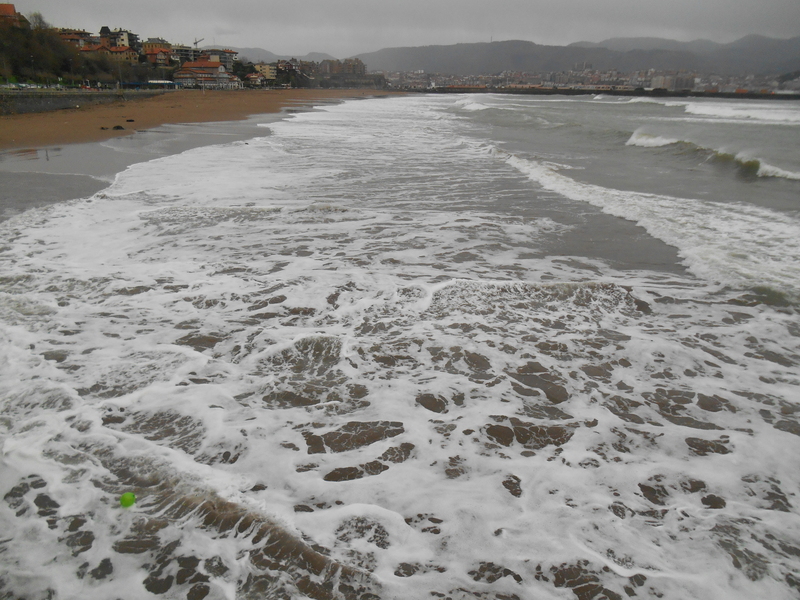 The surf appears to be quite good as we observe wave after wave break along the shore. Shortly after passing the beach we arrive at the old port of Algorta. 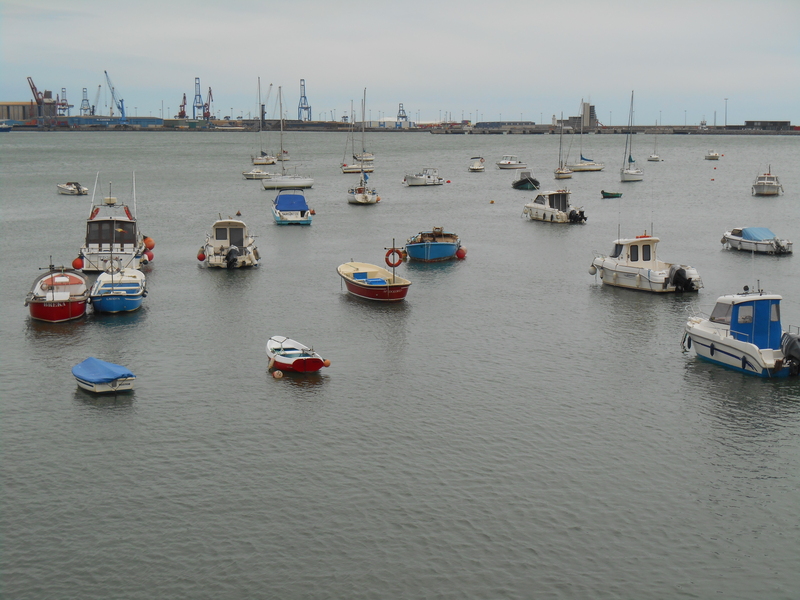 This is a little fisherman neighborhood which fully retains its charm of yesteryear. It sits atop a small hill and is home to many quaint restaurants and bars boasting deliciously fresh seafood for anyone caring to venture inside. 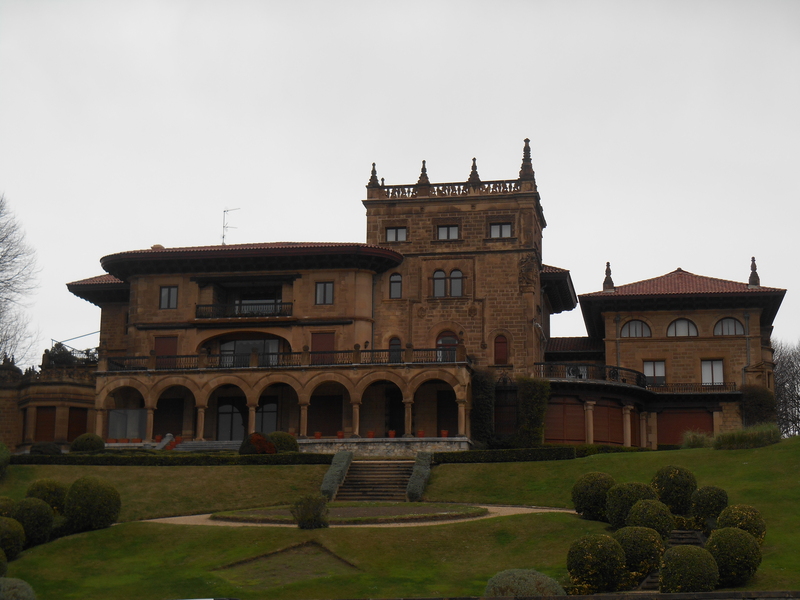 Now its time to catch the metro back to Casco Viejo and leave this relaxing and beautiful area of the Basque Country. In no time at all we have arrived at our stop and we start to feel hungry after all of that walking. We have an idea. 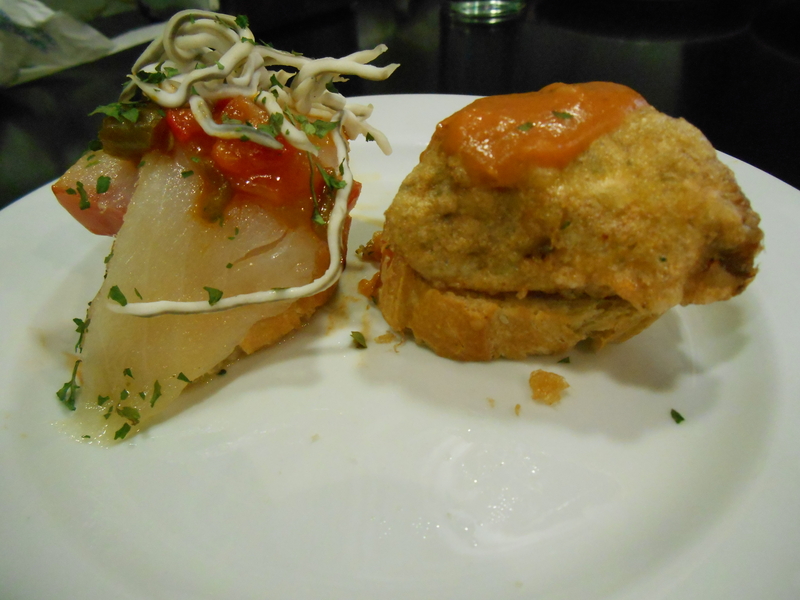 Lets visit a pintxo bar in Plaza Nueva. 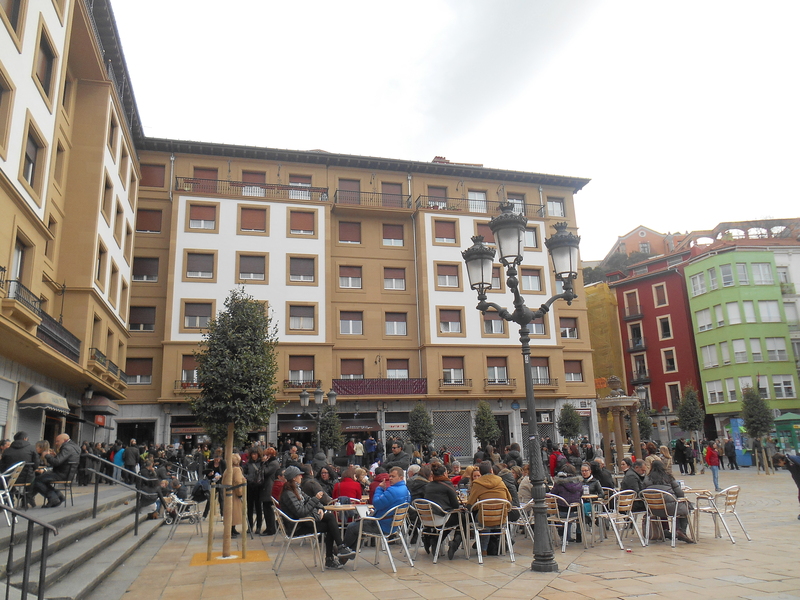 This plaza is centrally located in Viejo and is known for some of the tastiest and most creative pintxos in Bilbao. 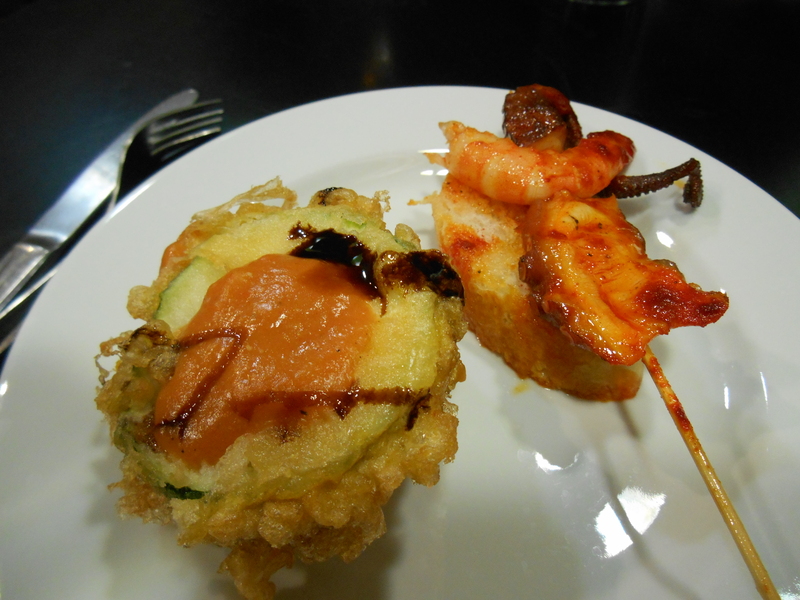 We order a couple of pintxos each with ingredients like grilled octupus, eel, bacalao (cod) and fried zucchini. After we leave the pintxo bar we feel like having something sweet to finish up the trip. 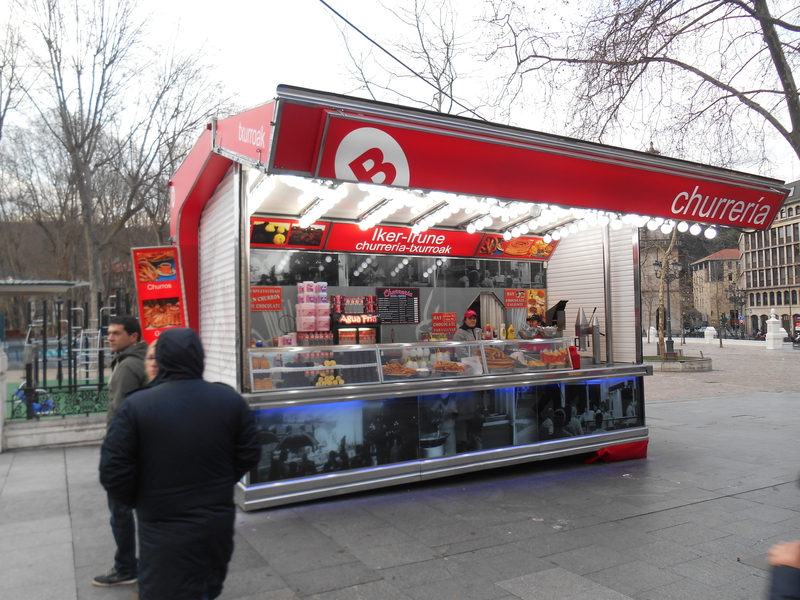 Thankfully we spot our favorite churro stand along our way home. 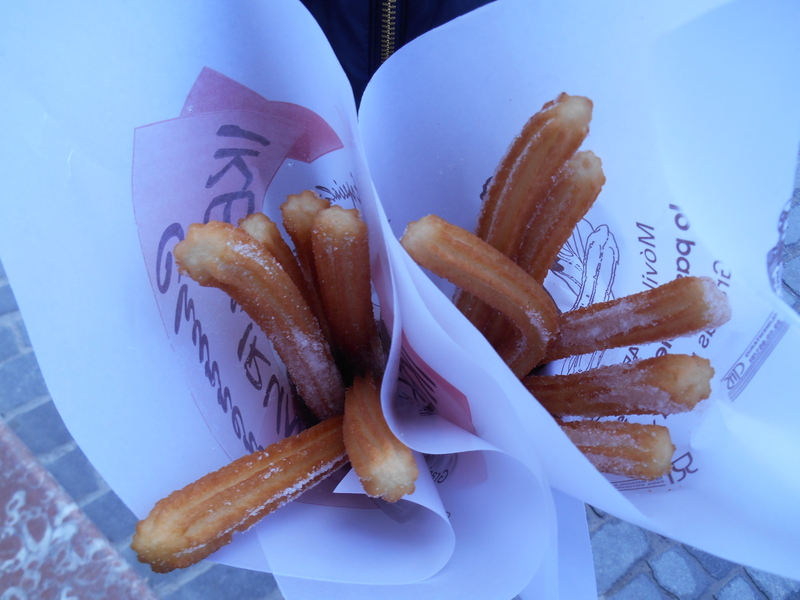 We each get a bag of six churros with sugar and enjoy something warm while walking home in the cold of northern Spain. In future posts we will be starting a more semi-regular blog entry entitled Eating Bilbao which will highlight new and interesting culinary finds here in Bilbao. That’s all for now, until next time. 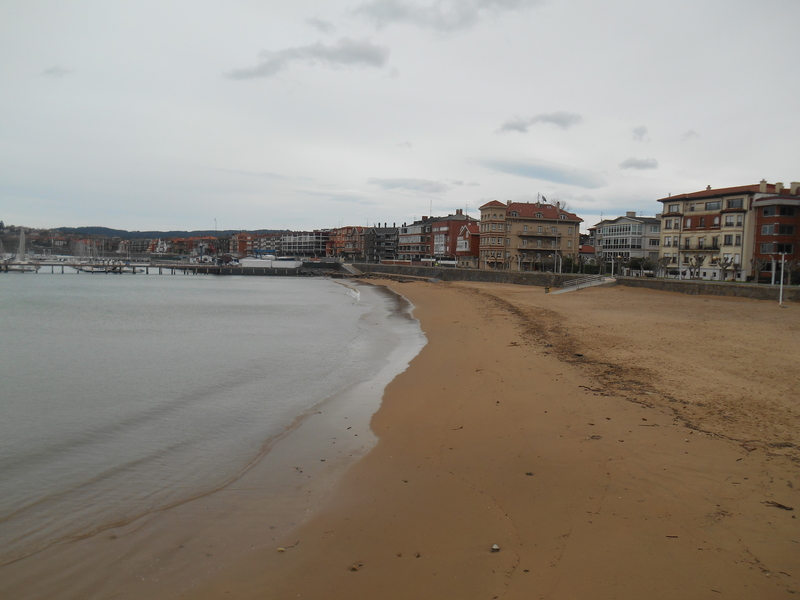 Agur! Next PostCan three year olds even talk?